This attention grabber will create a bit of a confusion when you look at it. You will fight with yourself more than once to come to a conclusion that its a scooter. Honda has come up with such a funky and a fun little motorcycle that brings out the child in everyone. 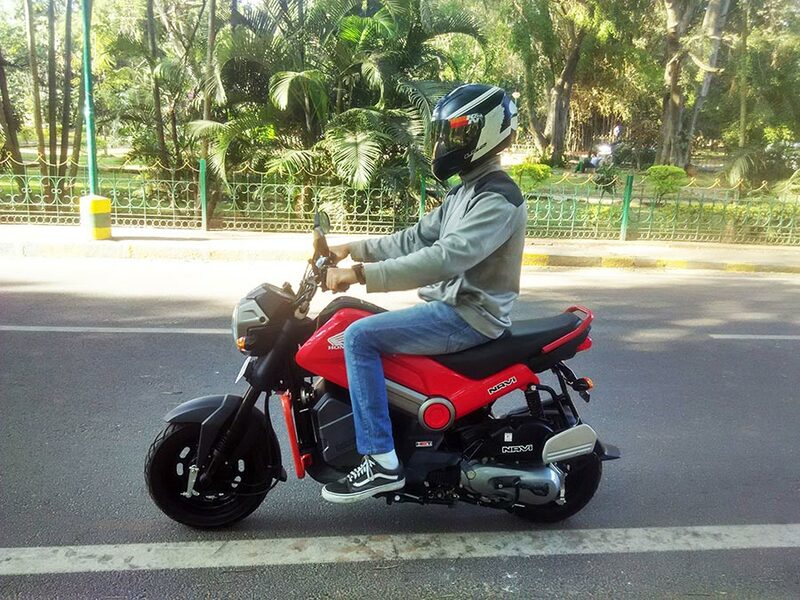 The Honda Navi is everything you wouldn’t expect from a scooter but nobody would mind that for how fun the Navi is to ride. 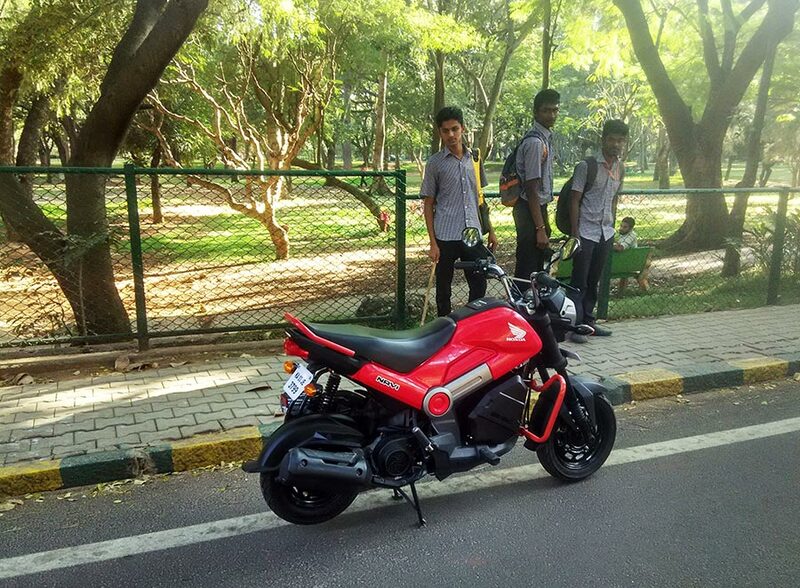 Honda shoots Navi straight at the youth to see how they take it. But has Honda really read their minds? Its very easy to call the Navi a ‘Plastic-ky’ scooter because the whole body is covered with plastic that’s seen on scale model toy cars which children play with. 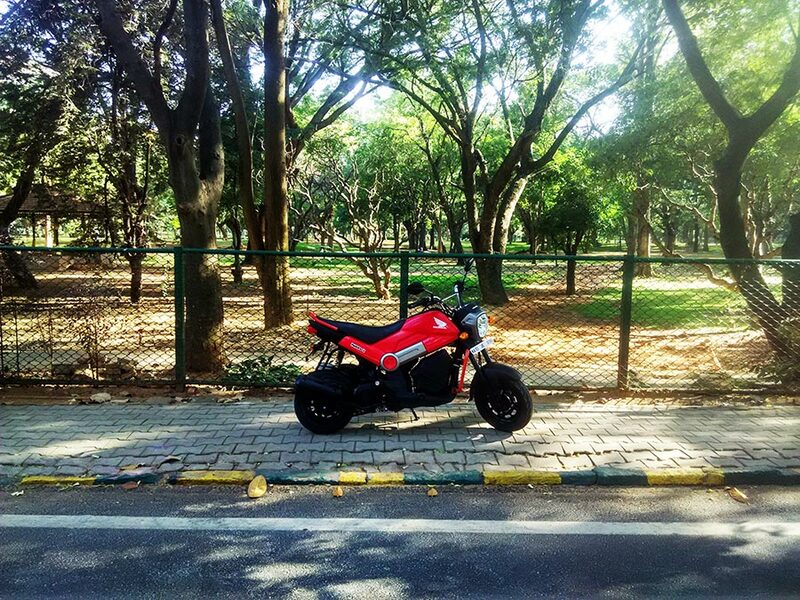 Some might mistake the gaping hole for a missing engine and you would have to explain to them that ‘this is a scooter, just like an Activa, which does not get gear levers, no right foot rear brake and the engine is placed at the back…’. Front end of the Navi looks appealing with body colored crash guards, nice looking headlights and the matte black front mudguards. The tail looks rather ordinary with turn indicators sticking out. Fuel tank is front set and the plastics used for the tank cover looks cheap and they might just break if you apply a little pressure to close the tank cover. Fuel tank capacity is 3.8 litres which is lesser than many other scooters in the market. 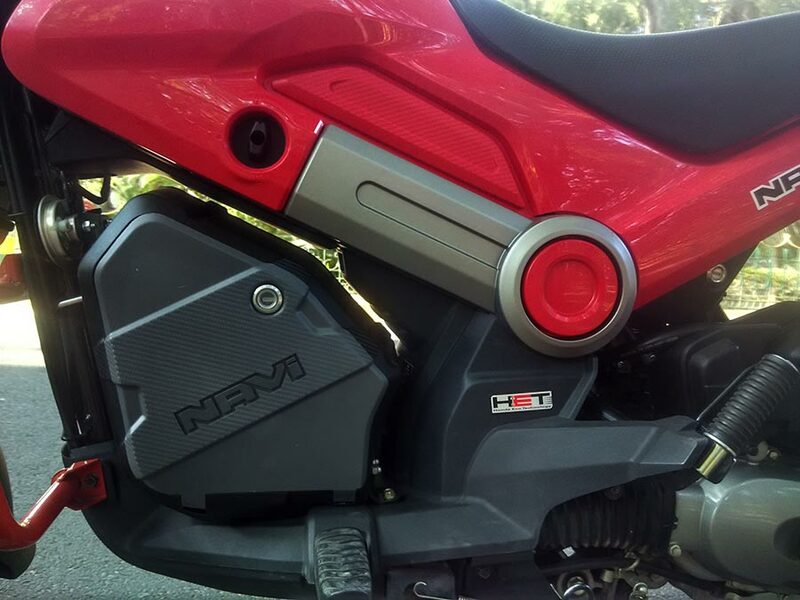 Rider foot-pegs are comfortable but they come in your way while you are using your legs to move around with the Navi. 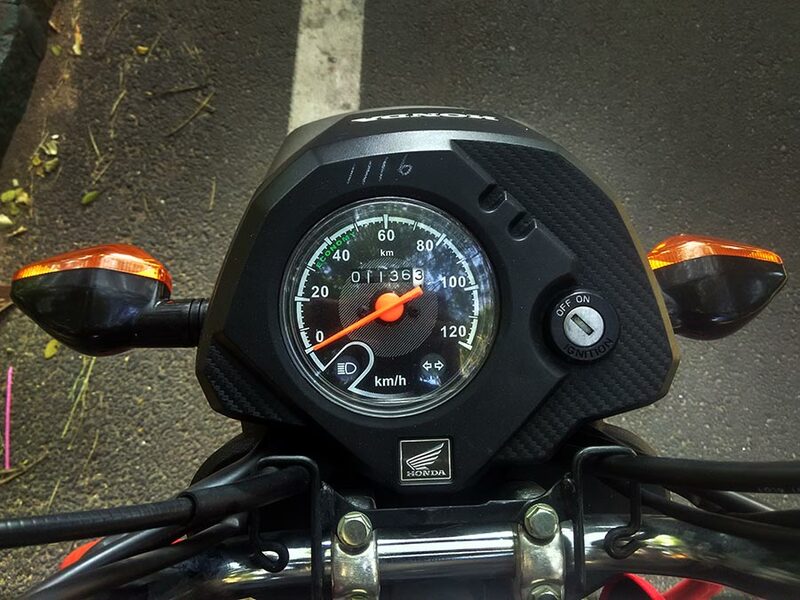 Very simple analog console with just a speedometer, turn indicator blinkers, high beam indication and the KM reader. It does not get a fuel level indicator which seems to be a one point drawback. The gaping hole which is supposed to be a luggage space, does not even have a hook. But Honda makes up to this by offering a luggage box as an extra add on. 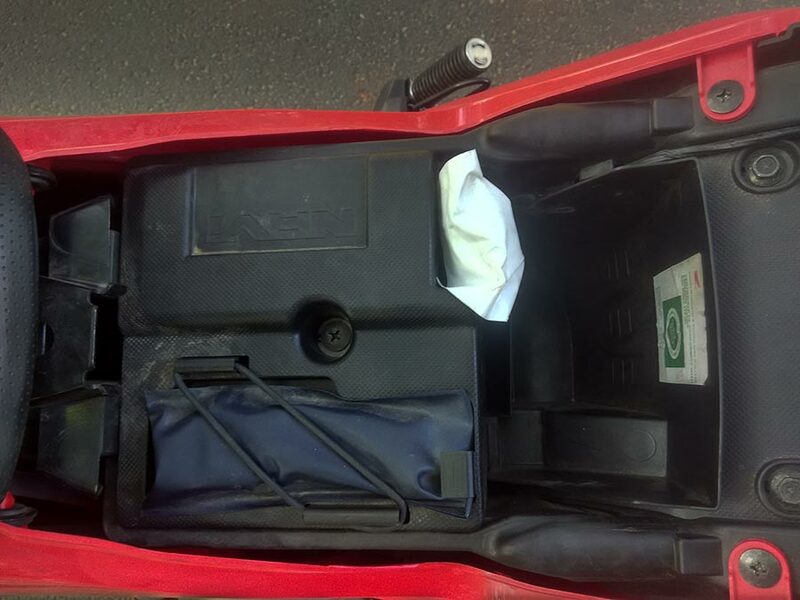 Under seat storage is minimal to just keep the vehicle documents and tools kit. 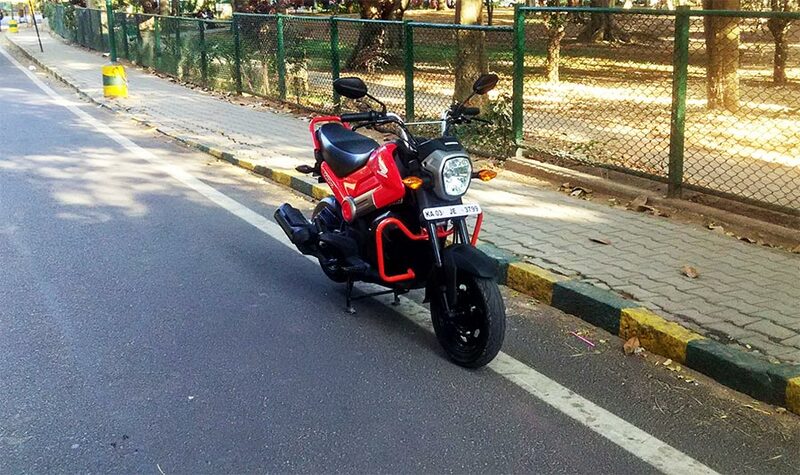 Honda offers a set of customization options which comes at an extra 6,000 rupees. Engine is the same 109.19 cc engine from the Activa making 7.8 bhp and 8.96 Nm of torque. The engine feels peppier and responsive, thanks for the Navi being 7kgs lighter than the Activa. Riding it around the city is really, really fun. It sure does put a smile on your face. Pot holes are dodged sooner than you can even know you did it, the front end feels light which helps manoeuvring really easy. If you are used to riding a motorcycle, don’t let the rider’s foot-pegs confuse you. And trust me, its capable of doing that more than once. I didn’t push the Navi to its limits because i just didn’t feeling like doing that. Its good the way it is and happy to zip through traffic reaching 60 km/hr and that’s where i like to keep the fun Honda. Anything more and the Navi gets angry in a not nice way. Although, it can reach a company claimed top speed of 81 km/hr. Small USD up front with rubber gaiters look and feel good. Small bumps are swallowed easily but gets shaky as the speeds increase. 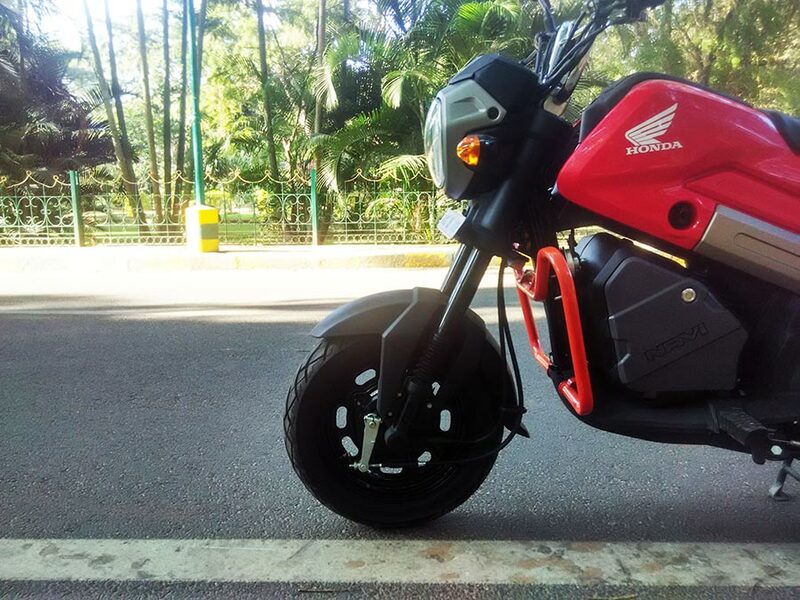 Riding the Navi is unlike riding any other scooter in the market. Handle feels light, you can take quick turns easily, dodge pot holes as soon as you think of it and smile while doing all of this. Navi having built on the Activa’s frame, handling comes with no surprise. The weight distribution is changed and the front end feels lighter which makes the Navi, sharp and agile. Wheelbase and length have been increased but that goes unnoticed, overshadowed by the design. Honestly, once you are set on the Navi with your feet on the foot-pegs and hands on the handlebar, you just don’t feel like keeping your foot down. It just wants you to ride and ride and ride but also have crazy fun while doing that. Seat height being 765mm which is the same as the Activa isn’t favored by tall riders. You may suffer back pain if you are on the Navi for a long time. Long time here means 40-60 minutes. Pillion seat is small and really not comfortable for two elderly people to travel on. Grab rails are easily accessible and the saree foot-peg has been offered for traditional purposes. Unlike any other scooter, the Navi is a very unique looking, fun little machine to own. Honda came up with the Navi to make it stand out from the rest of the crowd and that’s exactly what has happened. Some might complain about the design not being a matured one or the missing fuel level indicator or even the minimal luggage space. But if you need all of what’s mentioned, there are other scooters for you to choose from. 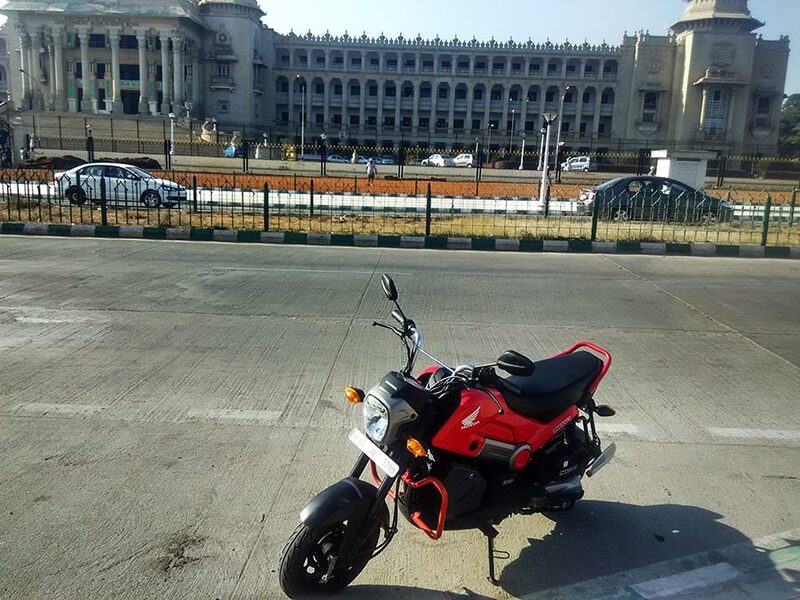 Say you want a young looking, fun scooter and would not really care about the drawbacks, then the Navi could be yours for INR 49,000 (on road price Bangalore).